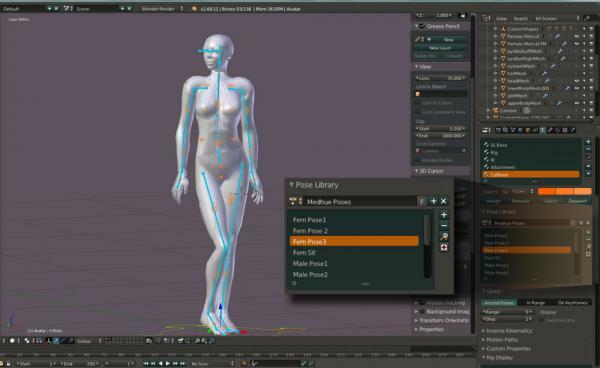 This is a blend file which contains blender pose libraries for the Second Life avatar. These libraries can be used to create animations for your own projects, or used to check weights when rigging clothing, or whatever else you might need them for. Most are poses, but there are some popular animations that might be useful. Ada Radius (2 weeks ago) Inappropriate? I&#39;m so glad I found this! Working on the Ruth2.0/Roth opensource mesh avatar project. Thank you! chance (2 years ago) Inappropriate? Love the youtube tutorial on animations for second life.